Yes it’s that time of the week where your movie knowledge is put to the test in our weekly movie quiz! This week is all about director John Carpenter’s film. Feeling up for more quizzes then take another one by clicking here. In fact why not bookmark us as we add new quizzes each week, normally Friday pm although we occasionally slip to Saturdays. Question #1: Which of these films did John Carpenter NOT direct? Question #2: In the John Carpenter film Prince of Darkness who plays the priest? Question #3: In the film They Live, Roddy Piper plays which character? Question #4: In what year was the John Carpenter film Dark Star released? Question #5: In which of these films did John Carpenter NOT provide the music for? Congratulations you really do know your John Carpenter films! Time to get the Blu-rays out! 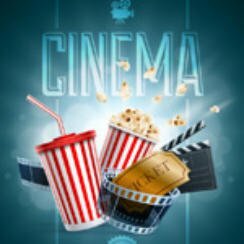 While you are on Popcorn Cinema Show why not check out the rest of the site, we have the Blu-ray news, Reviews, Cinema Releases, Blu-ray deals & lots more. Movie Quiz 1980s Films – Take The Test!